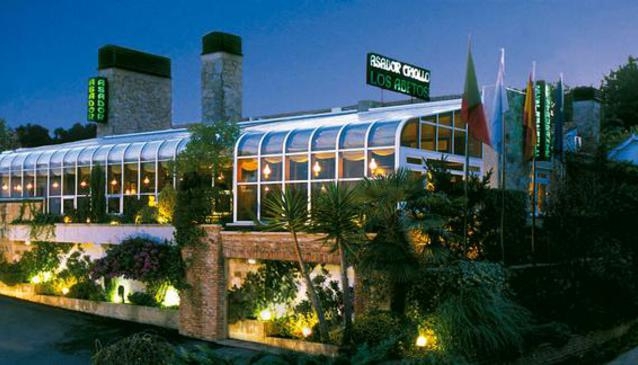 Restaurante Los Abetos has been one of the top restaurants in the south of Galicia since its opening in 1982! It's renowned for the quality of its barbequed food including a range of meats and fish dishes. Other delicacies include suckling lamb and pig fixed rotisserie,smoked dishes such as seabass and olive oil with a eucalyptus aroma,goose liver (foie) in a coffee sauce with sherry chestnut tart with chocolate and souffle tart of rice and roast apples! The wine list is also extensive thanks to the presence of a great wine cellar which houses over 800 bottles of superb wines. Restaurante Los Abetos is also renowned for its modern,convention centre including extensive lounges decorated with every kind of detail and fitted with the most advanced forms of technology, suitable to host congresses, seminars,assemblies and business meetings. The facilities include car parking,disabled access and air conditioning.